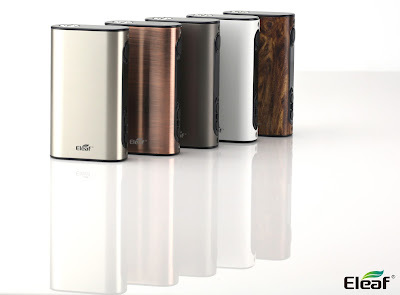 Home / Eleaf / Eleaf iPower / Eleaf iPower 5000mAh / Eleaf iPower 80W TC / Eleaf iPower TC80W / iPower / iPower 80W TC Battery / iPower - More Compact And Lighter ! Not only does the iPower have temperature control and upgradeable firmware like most e-cigarette mods in the market do, it also comes with a built-in battery of 5000mAh capacity that many e-cigarette mods in similar or even bigger size don't own. Compared to those mods with huge battery capacity, the iPower is much more compact and lighter, allowing easiness in both holding it in hand and carrying it in pocket. Also with a sleek, streamlined looking, it can be gripped with ease and feels pretty comfortable in hand.